Few ambulances have ever been as well-known as the Pontiac that transported the remains of the late President John F. Kennedy after his assassination. And now it's going up for auction. 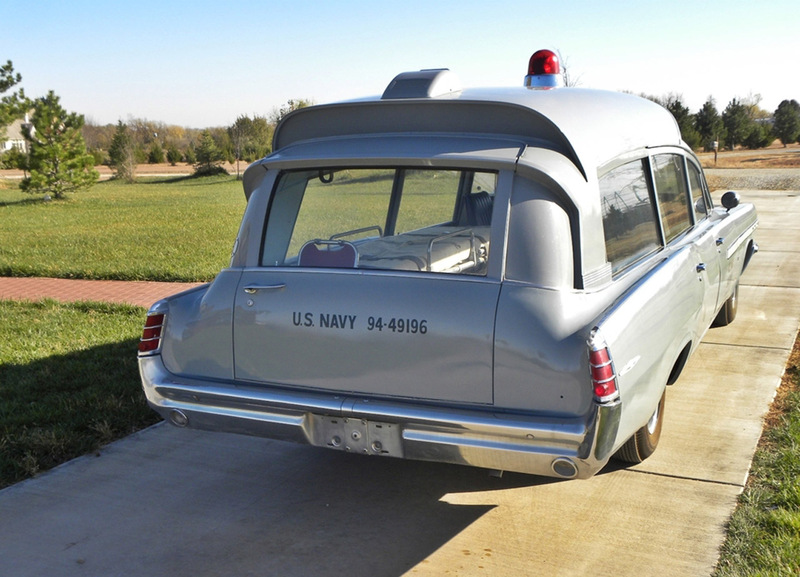 The 1963 Pontiac Bonneville ambulance was one of only 69 of its kind built, and only 15 commissioned for military application. This particular example was assigned to Bethesda Naval Hospital in DC, and was sent to collect the flag-draped casket of the slain commander-in-chief from Air Force One upon its arrival at Andrews Air Force Base and bring it, accompanied by grieving widow Jacqueline and brother Robert F. Kennedy, to the hospital and then on to Capitol Hill. The ambulance was retired from service several years later and sold as surplus before landing in the collection of its current owner, who is now putting it up for auction at the 40th-anniversary Barrett-Jackson extravaganza in Scottsdale later this month. It's in apparent immaculate original condition and has been featured in magazines and at the 2010 national convention of the Military Vehicle Preservation Association, where it was lauded with the Gold Award. [source: Speed | Images: PontiacsOnline]Barrett-Jackson auctioning Pontiac ambulance that served as JFK hearse originally appeared on Autoblog on Sun, 09 Jan 2011 19:59:00 EST. Please see our terms for use of feeds. 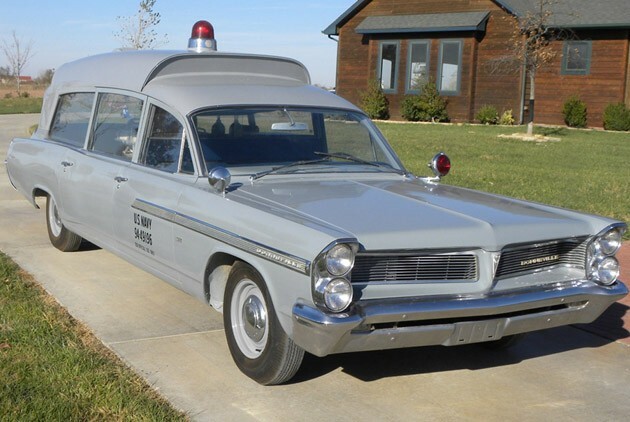 I would love to have a Pontiac Ambulance, very cool but I dunno about this one because as much as I liked Kennedy in History, I don't think I would want this car to be remembered as the car that carried his dead body. I just think that's weird. thanks for duplicating another thread. being from MA it would be cool for me to have it thou. Since the Kennedys are like gods out here. Seriously... I posted this last night. And why is this in the Other Auto News? It is a Pontiac. yes you did and I just deleted you triple thread post. You came in last and Chris posted his about 10 min's or less after me. thanks all for keeping me employed you guys are like job security! lol now looking at it chris was an hour later than me. you think a postwhore like him would of seen my thread. But no buggie we have A thread for the said post/thread. Soooooo any who back to the car it would be kinda neat if someone from MA could get it. We have several Kennedy museums ect for the Kennedys down here. Im sure we could find a spot for here somewhere. its not a job if there is no money. or HEALTH BENEFITS. havoc, you brought up a very good point. This is Pontiac related BUT it also is by an "auto news" carrier so in reality it can go in either. In the past week or so we've been trying to group everything news related in here but this I think has been the first Pontiac related news since we've been grouping them. From now on I think we'll just leave this to "other auto news" and use the Pontiac News area for Pontiac stuff. I think I'm gonna make it so every time you mention money or benefits, its gonna read "RINGO IS AWESOME"
Personally, I think this car should end up in the Henry Ford Museum in Dearborn, MI. The museum already has Kennedy's limo in which he was assassinated in. It also has a couple of other presidential limos too. However, the Secret Service has said that no other presidential limosines will go into museums when they are retired from service. 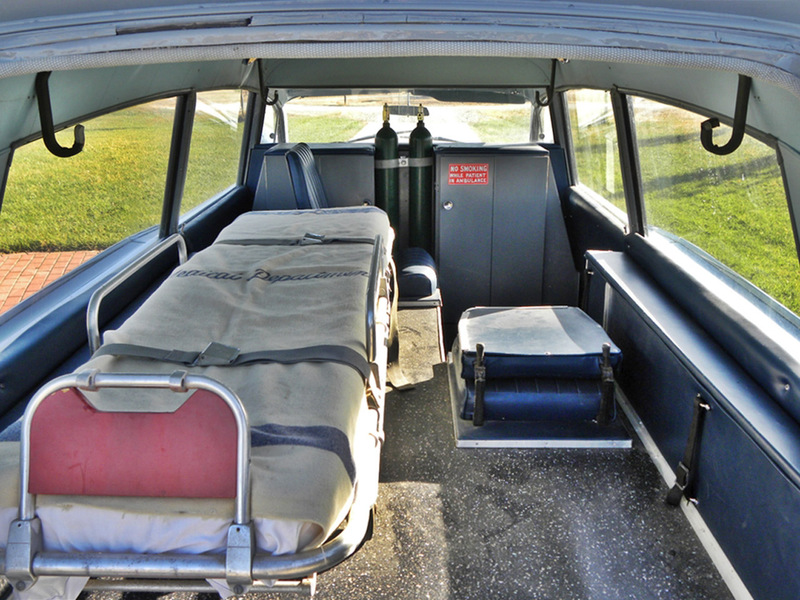 Is the JFK ambulance up for auction at Barrett-Jackson a fake? The plot seems to be thickening around the auction of a 1963 Pontiac Bonneville ambulance that supposedly transported the body of President John F. Kennedy's body after his assassination. Unfortunately, a kink has arisen in the tale of how this vehicle went from a piece of national history to the auction block. 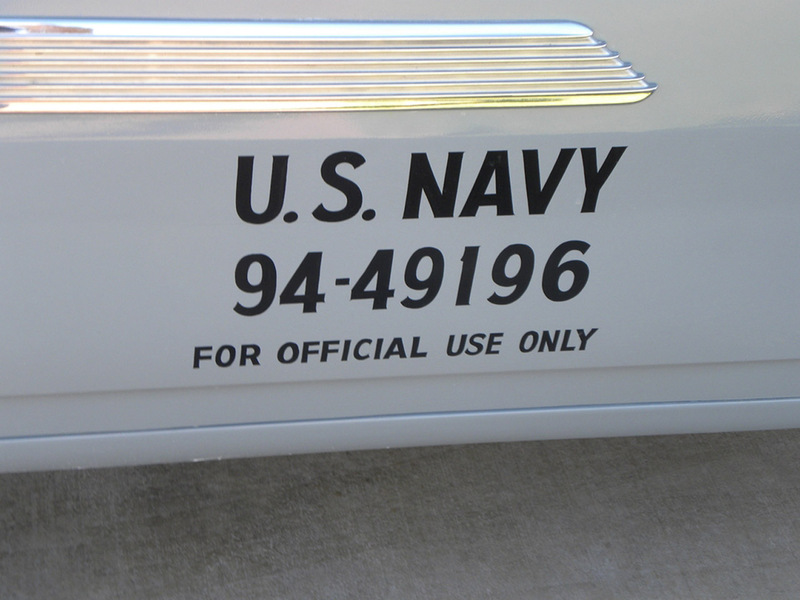 Originally the seller claimed that the vehicle was sold as surplus before receiving a full restoration. The only problem with that tale is that the real vehicle was never sold at a Naval auction. Instead, the ambulance that ferried the late commander-in-chief was donated to John F. Kennedy library. From there, the Kennedy family apparently asked that the vehicle be destroyed – a request that the library promptly obliged. On June 26, 1986, the Pontiac ambulance was loaded into the jaws of a crusher and turned into scrap. For any fan of rare or vintage vehicles, the photos of the vehicle with its doors caved in courtesy of a fork lift aren't easy to look at. The stout of heart will have to head over to Jalopnik to get a closer look. Barrett-Jackson has decided that while the car may not (read: probably isn't) the one that carried President Kennedy's body, it will still be sold at auction. While the fact that the vehicle up for auction in Arizona may not be the real deal is likely to decrease its value considerably, we still think the car is cool as hell. What better way to get the family around town than in a Navy grey '63 Pontiac ambulance? 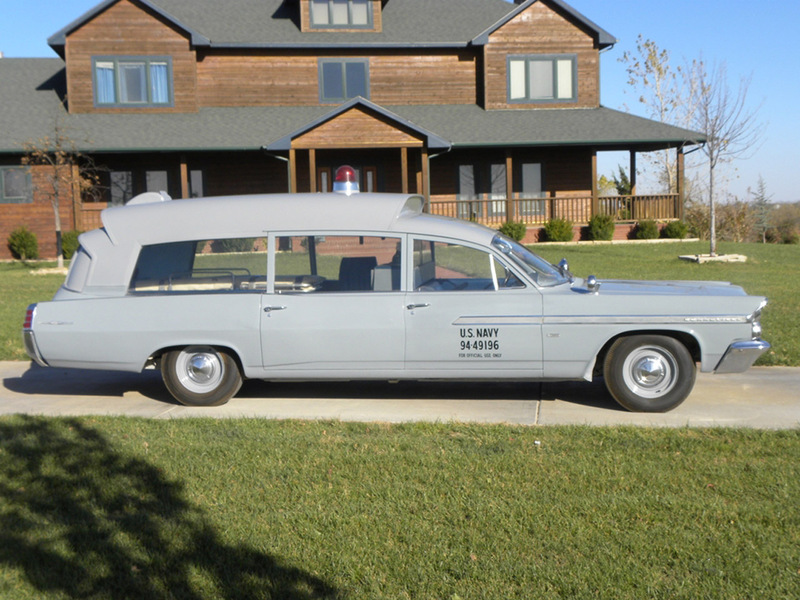 How about the hearse that carried JFK's casket? The '64 Cadillac is also up for bid on eBay motors with a buy it now price of just $1.5 million. You can check it out here. Normally, events such as Barret-Jackson's annual soiree out in the desert of Arizona are newsworthy to those of us who obsessively cover the auto industry... and pretty much nobody else. But when the auction house roll out the ambulance that supposedly transported the body of President John F. Kennedy after his assassination, well, the rest of the world stands up and takes notice. Adding more fuel to the fire of intrigue surounding this one-of-a-kind machine are questions as to whether or not this 1963 Pontiac Bonneville ambulance is legit. Did it really carry JFK? We have no idea, and there are a number of documents and plenty of speculation supporting both sides of the discussion – we're content to stay out of the debate. And either way, we're curious to see how it performs after a week's worth of national news. In any case, all eyes are now on this controversy-filled auction. Check out the official listing page for the might-be JFK's ambulance and be sure to keep an eye on the live streaming feed at Speed. Are you playing Speed's Online Fantasy Bid Game? If not, test your auction pricing mettle by guessing what a series of featured vehicles will end up bringing at the auction block – you could end up winning a prize, like an Apple iPad. Enjoy! *Update: The ambulance ended up selling for $120,000... which we'd say means the bidders weren't convinced of its authenticity. Or, it means someone just scored an amazingly significant car at a major discount. $120k is still a good amount! From there, the Kennedy family apparently asked that the vehicle be destroyed - a request that the library promptly obliged. On June 26, 1986, the Pontiac ambulance was loaded into the jaws of a crusher and turned into scrap. For any fan of rare or vintage vehicles, the photos of the vehicle with its doors caved in courtesy of a fork lift aren't easy to look at. 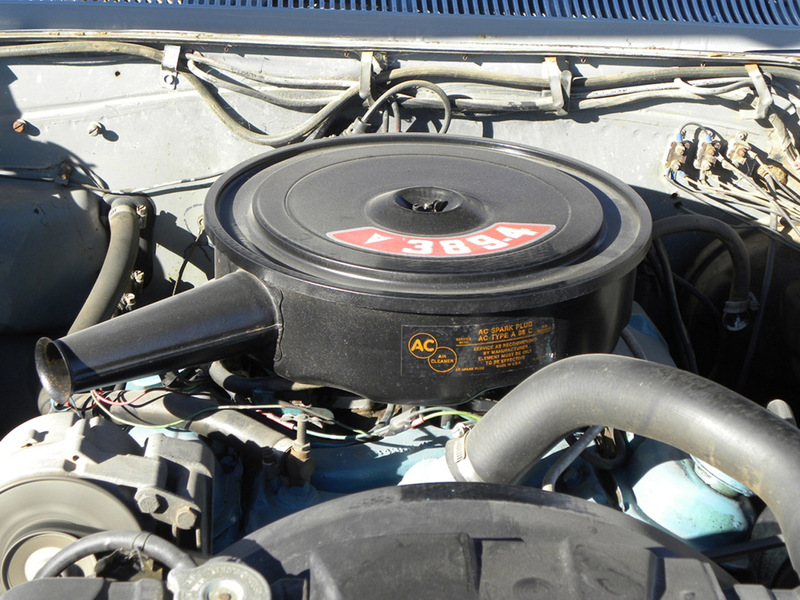 The stout of heart will have to head over to Jalopnik to get a closer look. [sources: Jalopnik, eBay Motors]Is the JFK ambulance up for auction at Barrett-Jackson a fake? originally appeared on Autoblog on Fri, 21 Jan 2011 16:59:00 EST. Please see our terms for use of feeds. How many times is this gonna be reposted?